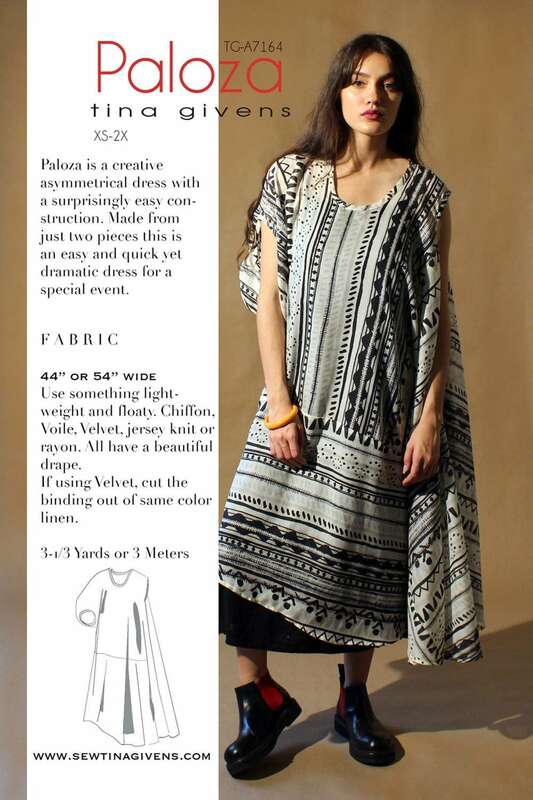 The Paloza is a creative asymmetrical dress with a curved edge and surprisingly easy construction. Made from just two pieces this is an easy and quick yet dramatic dress for a special event. The Paloza is something unique to add to your wardrobe. Can be a special event dress or an everyday sundress. We use a light voile, rayon or silky fabric with soft draping. Nothing stiff like a cotton print or shirting. This could be gorgeous in velvet too (silk/rayon not cotton velvet). Also perfect in a light linen.